Where will a CIM education take you? 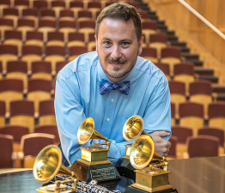 From orchestral musicians to soloists and composers, CIM alumni are living the dream of a life in music. Learn more about our alumni below. CIM's chamber music faculty members promote a nurturing environment that emphasizes collaboration. Ensembles receive valuable hands-on experience by participating in CIM's community enrichment programs — performing live music and engaging with audiences at local museums, schools, senior centers and hospitals. With this foundation, CIM graduates go on to join or form nationally recognized, critically acclaimed and award-winning ensembles. The following list provides a representation of ensembles whose current or former members have studied chamber music at CIM. Composition has been an important part of our curriculum since our founding. Our New Music program focuses on helping composers find their voice, teaching them how to write dynamic, sophisticated and meaningful music while also developing orchestration skills and portfolios. Our graduates go on to study at other prestigious institutions; earn awards, commissions and fellowships. They pursue a variety of career options from composing new repertoire that will be performed in concerts to scoring films, television shows or video games. Most of our faculty members are professional musicians with rich and diverse histories. 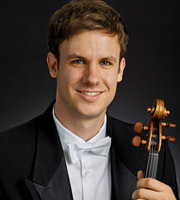 Many are members of The Cleveland Orchestra, while others perform with or conduct other local symphonies or ensembles. Our students have unprecedented access to The Cleveland Orchestra, and we regularly welcome internationally recognized visiting artists to coach or guest conduct our students. 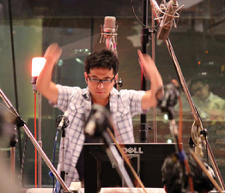 As a result, many take orchestra jobs while finishing their studies at CIM or win appointments soon after graduation. Our voice program is all about balance. We teach an Italian method of singing (Bel Canto) that focuses on free, unforced sound known for its beauty, balance and seamlessness of tones. Equilibrium in enrollment is key to our students' success. The department must be small enough to ensure that all faculty know all students and large enough to support fully staged, costumed opera productions — an important training ground for singers and orchestral musicians alike. Our graduates go on to succeed in a variety of vocal careers as singers, coaches, choral directors or working behind the scenes at opera companies around the world. 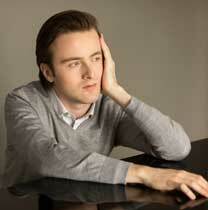 Daniil Trifonov (AD '14, Babayan) is an internationally renowned pianist whose first CD was nominated for a GRAMMY. CIM creates a vibrant, energized atmosphere where ideas grow and musicians thrive — where our students are taught by some of the greatest talents in classical music and where they learn alongside exceptionally gifted peers. In an environment steeped in tradition that simultaneously encourages innovation in technique, technology and interpretation, our students grow to become imaginative and emboldened artists and performers. 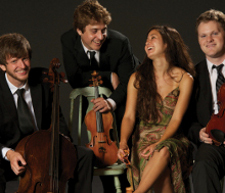 They tour the world to play concerts and record award-winning music. Our conducting program helps students develop advanced skills in musicianship and analysis while refining technique, musical knowledge and communication skills. 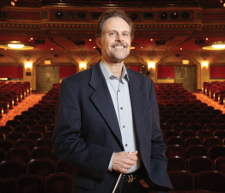 Conducting majors regularly attend CIM orchestra and opera rehearsals, and may assist with sectional rehearsals. They have unprecedented access to observe rehearsals with The Cleveland Orchestra. By limiting enrollment, we grant each of our students significant podium time providing hands-on experience that translates to real-world jobs. Our facilities feature state-of-art equipment, but students gain more than technical training at CIM — they learn the art of recording music. Audio engineering majors follow the same core curriculum as performance majors to cultivate increased aural acuity and musical knowledge. Recording industry professionals mentor students — teaching recording skills, editing techniques, mixing, audio production for video, network communications and more. The practical experience our students gain while at CIM and through internships, along with Pro Tools Certification, make a winning combination for post-graduation success. Our vision is to be the center for the education of the complete musician of the 21st century, which includes training the next generation of music instructors. Our Joint Music Program with Case Western Reserve University enables CIM students to take non-music courses and earn dual degrees, including an educational degree. Custom programs prepare our students for fellowships and apprenticeships. This immersive and creative educational process enables our graduates to leave CIM prepared to teach or to continue their studies at other esteemed institutions. Violinist Jinjoo Cho (BM '11 Kantor, MM '13, PS '15 Laredo) was the winner of the 2014 International Violin Competition. 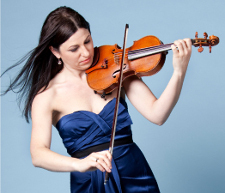 She currently teaches at Schulich School of Music. With a world-class faculty educating some of the most talented young musicians from across the country and around the globe, CIM students and alumni regularly earn awards, fellowships, scholarships and take top honors in international competitions both while studying at CIM and following graduation. Awards often provide prize money that helps students underwrite the cost of a CIM education and include recording contracts or publicity that help launch careers.